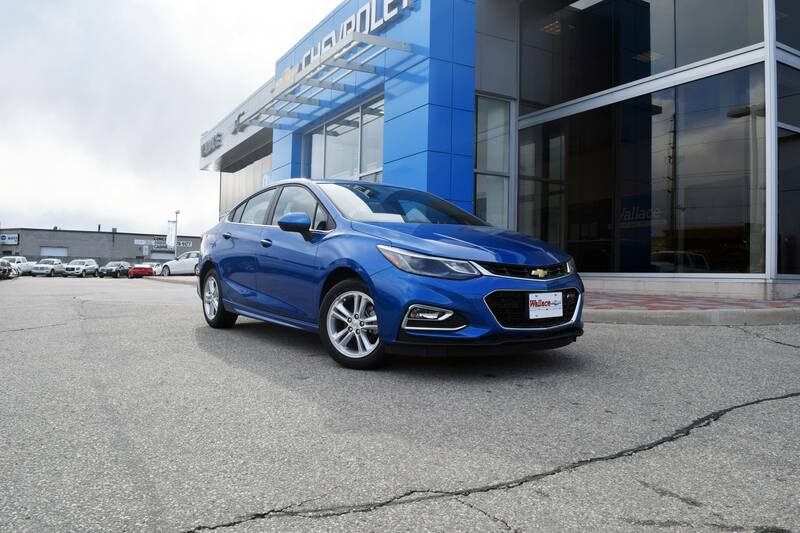 Wallace Chevrolet > Android Auto > 2017 Chevrolet Cruze – 10 Facts You Didn’t Know! 2017 Chevrolet Cruze – 10 Facts You Didn’t Know! 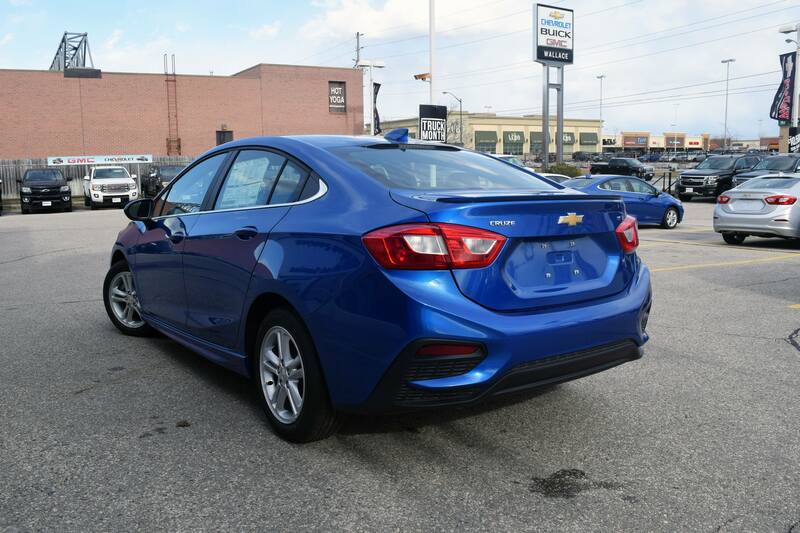 The 2017 Chevrolet Cruze is here and we’ve detailed on our blog. 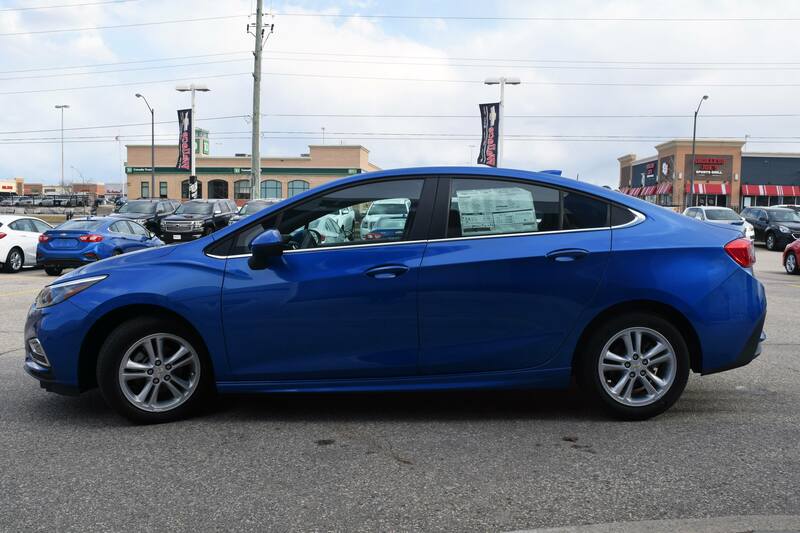 You probably know it comes equipped with a 153hp four-cylinder engine and a 7-inch touchscreen as standard, or that it’s now available as a hatchback! These are some of our favourite tips and tricks on the Cruze. 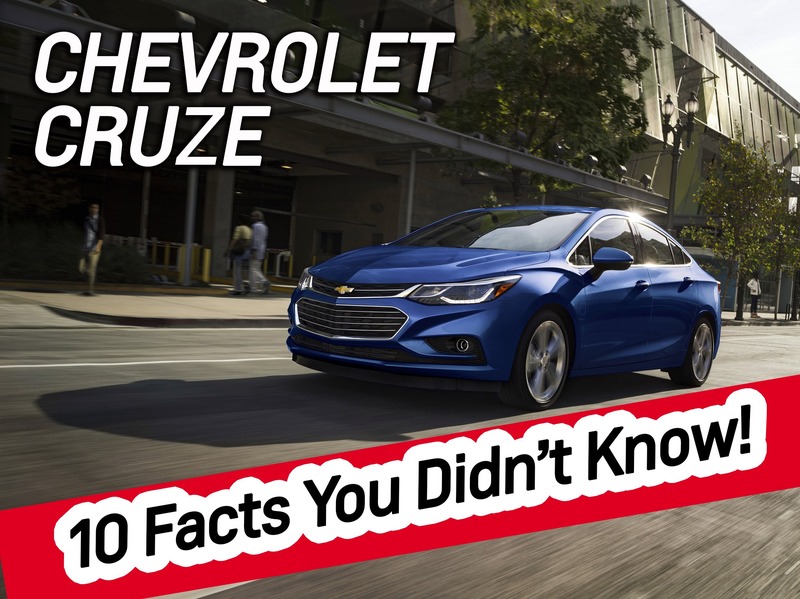 Check out our list of the 10 Cool Facts You Didn’t Know about the 2017 Chevrolet Cruze and then share your thoughts in the comments below! Q: When the new Cruze realizes there’s less than 100km in the tank it will display a ‘Low Fuel Level’ warning. How do I tell my remaining mileage when the icon is in the way? A: Simple! Press enter when you see the warning and you’ll continued to get a detailed read out of your low fuel level. Q) I hate having to stick my hand under the hood and fish for the handle that unlocks the hood! Is there an easier way?! A) YES!! Pull the hood latch twice, rather than just once, and you can simply lift the hood up without having to fish for the lever! It makes quick work of checking your washer fluid and it’s super easy! Q: I want to pop my trunk from the outside but I cannot find the trunk release. Where is it? A: Now the release is located on the trunk, located right above the license plate. Reach under the chrome lip and give it a press! And remember it will only work if the doors are unlocked and the car is in park! Q: I love the armrest but it doesn’t quite fit my arm correctly! How do I move the centre console? A: Easy! The centre console slides forward if you grab the latch and pull in your desired direction. Just remember you have to slide it back if you want to open it! Q: Does the Cruze have a “quick change” turn signal? How do I use it? A: Yes! Gently depress the turn signal stock and it’ll flash 3 times, then shut off. For the full signal, simply depress the stalk as normal! 6) Don’t Drain Me Now! Q: I’m worried about leaving lights on and draining the battery. How do I prevent this? A: You don’t have to worry because you can’t drain the battery by leaving the lights or electronics on! After 5-10 min the vehicle will turn itself off to preserve the battery…cool! Q: Is there a way to adjust the radio so it stays at the perfect volume, despite road noise? A: Yes! Simply find the ‘Configuration Menu’ on your MyLink screen and switch on ‘Speed Sensitive Audio Volume’! Now, the audio volume will alter based on speed and road noise, ensuring the perfect volume at all times! 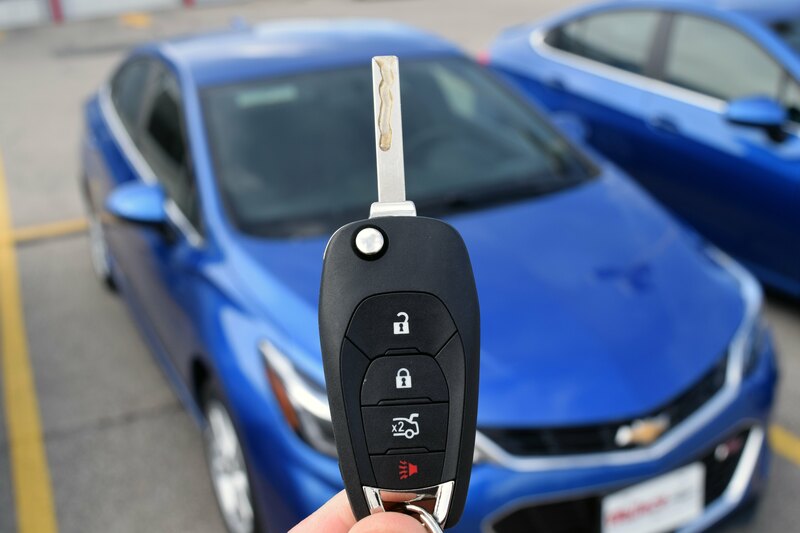 Q: How many times do I have to press lock and unlock the doors on my 2017 Chevrolet Cruze? A: Just once! Did you know you can configure Cruze to unlock all the doors by pressing remote lock just once?! It’s true! Hop into the trusty ‘Configuration Menu’ and give it a whirl. Q: What’s the best place for my groceries not to get tipped over? A: Don’t forget that Cruze has a couple of built-in bag hooks on the inside left section of the trunk. Handy! Q: I don’t like having to scroll through multiple screens to get to my favourite apps? Can I change this? A: Yes! The app icons are movable and customizable! Hold your finger until you see apps shake, then drag it to its new location. Arrange your most used apps for quick and easy access!